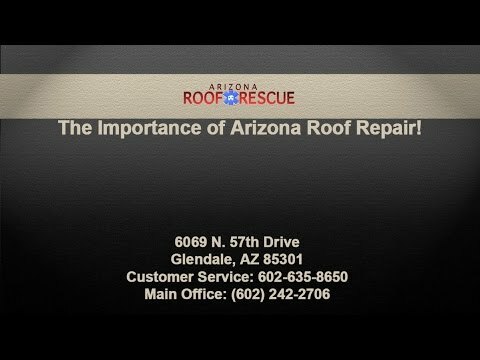 Arizona Roof Rescue is all about the summer fun, and you should be too, with our dedication to your roof maintenance and repair. There is no roof issue, leak, problem or question that is too big or small, and as your Peoria roofing contractor we want to make sure you are ready for a great swimsuit season. Swimsuit season does not mean that your roof is affected by your pool (or better yet your air-conditioned grotto), we mean that swimsuit season is hot. For some reason we’ve all made a choice to live in a particular type heat that most people can’t fathom enjoying, but now it’s in our blood. Humidity, heat and a blazing sun can cause your shingle roof to crack, flake, sag and the general weathering can mean problems for you as a homeowner. Taking these precautions (and then calling us) can help save the life of your roof and have you living stress-free this summer. But not the fun kind. 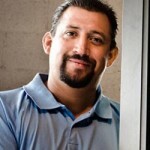 Start by doing a visual check once a month or every few weeks. You’ll want to look for any signs of water damage, bubbling or sagging in the interior of your home to know if you should be more worried of your shingles outside. Speaking of water, take a trip upstairs. The attic can tell you a lot about the general health of your roof. You’ve heard that hot air rises right? That’s what you’ll want to keep an eye out for. If there’s not a sufficient amount of ventilation it can lead to trapped hot air and inevitably a shortened life span for your roof. Unfortunately Peoria is the prime breeding ground of algae and moss. Make sure there isn’t any growing on your roof, which can lead to shingle rotting if it grows too wildly. If you happen upon moss or algae make sure to call us to remove the issue. Obviously. Extreme heat can cause the shingles on your roof to wear down in the fall and spring months, always use extreme caution when inspecting for these tall tale signs of roof damage. Spend time looking for any cracks, curls or completely missing shingles. To ensure the safety of your roof for the summer months, you’ll (we mean us) want to replace any cracked or damaged shingles. It’s a dirty job, but trust us – we’ll handle it. Gutters are never fun to clean or maintain, but it’s a crucial part of your roof maintenance that will likely ensure the safety and soundness of your roof during the summer months. Checking for debris, leaves or the like, and making sure that they are attached to the home properly is vital for ultimate functionality. If your gutters are draining the way they are intended to then you are one step closer to stress-free roof care. If you find leaves or other debris backed up in your gutters you’ll want to remove it quickly, and especially before monsoon season. Leaves that are built up can cause water to pool and threaten the structure of your home and roof. Ensuring for proper water flow and function will help diminish the chance of gutters detaching and shingles (or other roofing material) becoming loose in the process. Somehow this makes us think of tortillas, but we are talking about the difference in roof types that are typically found on flat houses or dwellings. A complete inspection of your roof, especially if your home has a foam roof, can indicate if there are any cracks or fractures within the actual material and therefore help Arizona Roof Rescue understand whether to reseal the entire roof or simply repair the crack. Ensuring the maintenance of your roof is done before the triple digits hit can give you more piece of mind that that your home is safe and ready to crank the air conditioning to 73. Many homeowners do not realize how important the health of their roofs are, or how important general roof maintenance is. It’s easy to forget when summer rolls around and the lake is calling. Arizona Roof Rescue works efficiently and has all of the necessary skills and equipment to make sure your shingles are attached, roofs are sealed and the summer heat won’t damage one of the most vital parts of your home. Call us today!